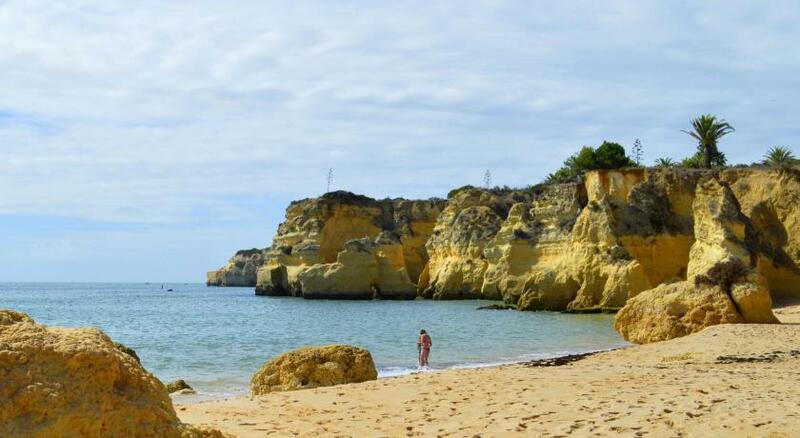 Lock in a great price for Holiday Inn Algarve – rated 8.2 by recent guests! Very nice hotel, with comfortable rooms and a great view. The staff was excellent. Good location. Walking distance to shops and restaurants and right on the beach. The hotel seemed to have an older crowd we liked the pace of the town/hotel but just know it isn't a party town or hotel. View from balcony, nearby restaurants, the hotel was on the beach which allowed us to stroll there late night and early mornings. The location of the hotel would demand a completely new approach to clients. Algarve is also great because of Portuguese culture, in this hotel is not the case. The location is amazing. We loved the hotels position right on the beach and central for the town and bars and restaurants. We had booked a double room with sea view but on arrival we were upgraded to a suite at no extra charge which was a lovely surprise. The staff were very pleasant and helpful.We've been spoiled during this stay and will definitely be back! The location... beachfront, near restaurants, staff at front desk were helpful...they gave us a great room for our honeymoon stay! holiday inns are always great. Would have liked a second key to keep the air conditioning on, it took too long to cool down at bedtime for real comfort. Holiday Inn Algarve This rating is a reflection of how the property compares to the industry standard when it comes to price, facilities and services available. It's based on a self-evaluation by the property. Use this rating to help choose your stay! One of our top picks in Armação de Pêra.With sweeping views of the Atlantic, this Holiday Inn has an outdoor pool overlooking the sandy beaches of Armação de Pêra. Facilities include 2 panoramic restaurants and 2 bars. Guests of the Holiday Inn benefit from an on-site fitness center. For relaxation, guests can schedule a massage or sunbathe on the poolside terrace. At night, the Bar Boa Vista provides refreshing drinks and entertainment. The restaurant Por Do Sol serves international and Portuguese buffet meals, while the restaurant Raj offers Indian cuisine. Guests can enjoy al fresco dining and summer barbecues. Free parking is available on site. The Herdade Dos Salgados Golf Course is 4.7 mi away. When would you like to stay at Holiday Inn Algarve? This room has a furnished balcony with panoramic sea views. It has air conditioning, free WiFi, a satellite TV and tea and coffee making facilities. It has a private bathroom. Decorated in blue and green, the room has a view over the Atlantic Ocean. This twin/double room features a soundproofing, free WiFi, satellite TV and air conditioning. It also has complimentary coffee and tea. Please note that all bed type requests are subject to availability and confirmation from the hotel. It has air conditioning, a satellite TV and tea and coffee making facilities. The unit has a separate living area, with views over the Atlantic Ocean. This newly-renovated beachfront room has direct access to the beach. The unit comes with a satellite TV, free WiFi, private bathroom and complimentary tea and coffee. This double room features air conditioning, satellite TV, free WiFi and soundproofing. It also has complimentary coffee and tea. Decorated in blue and green, the room has a view over the promenade. This twin room features air conditioning, satellite TV, free WiFi and soundproofing. It also has complimentary coffee and tea. House Rules Holiday Inn Algarve takes special requests – add in the next step! Holiday Inn Algarve accepts these cards and reserves the right to temporarily hold an amount prior to arrival. The room could be more soundprofing and the prices at the bar in the pool are to high for the quality. Evening buffet a bit uninteresting. I think it was an oversight but we didn't have bottled water in the room. The room was delightful. Had a lovely sea view. Very clean and spacious, with comfy bed.